Göran Nygren, Otto Huanuco, Alexandra Bakiu, Hannah Holgersson, Anna Hoffstedt and Anton Gäfvert. A sparkling new year concert at Bromma Folkhögskola this week! 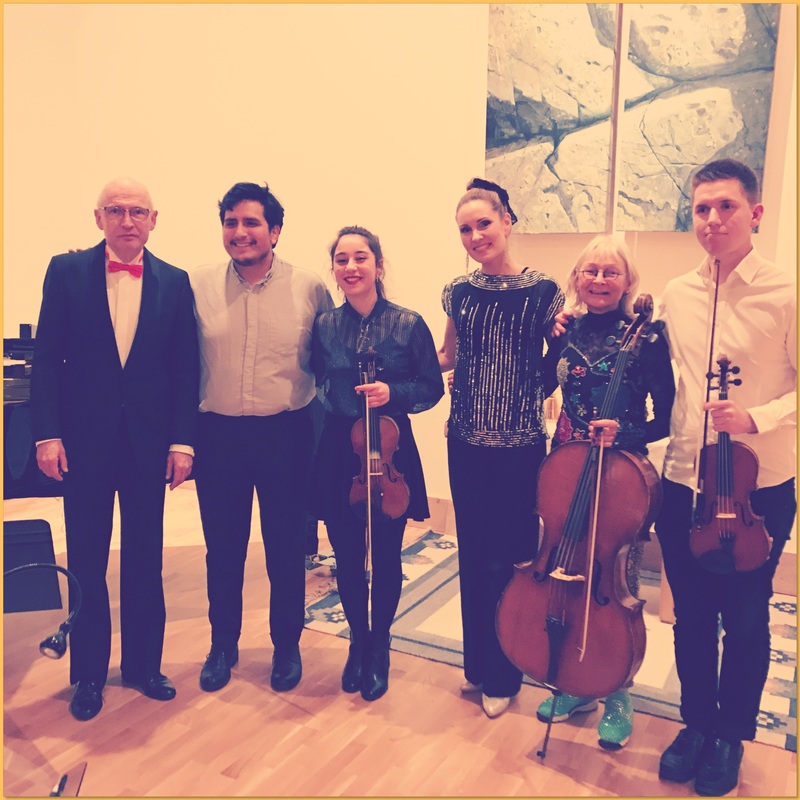 With music by G F Händel, W A Mozart, Franz Lehár, Astor Piazzolla, Joseph Haydn among others, we celebrated 2019 with a joyful audience! 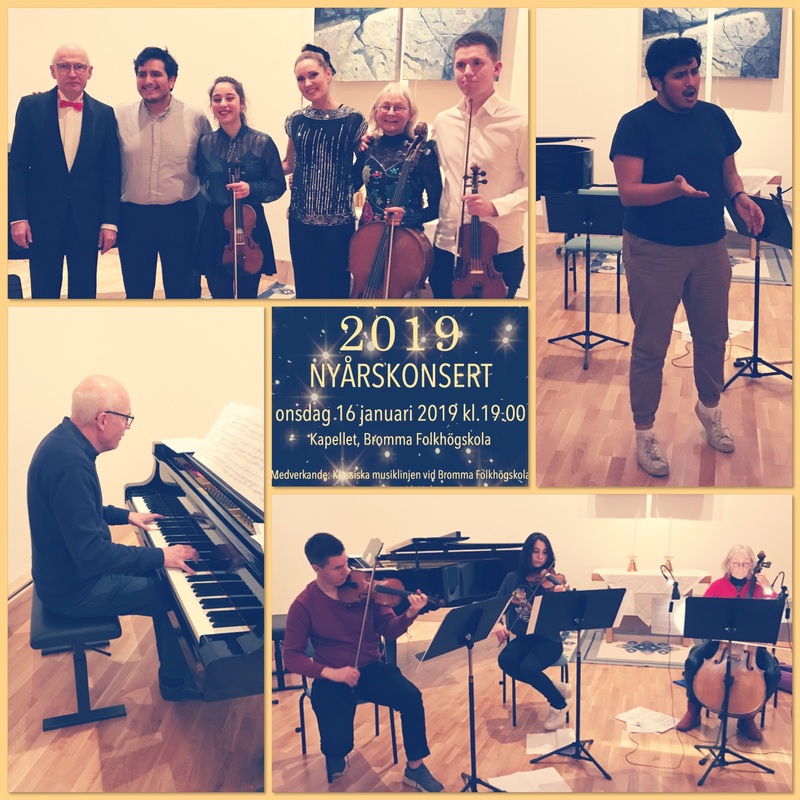 The concert started with snacks and beverages and ended with a spontaneous and cheerful waltz. 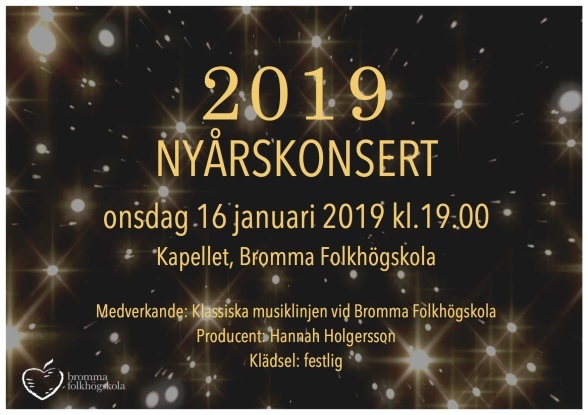 I am, as a teacher and producer, very proud to see and hear the result of practice and prepartions by the students of the Classical Music Education at Bromma Folkhögskola!